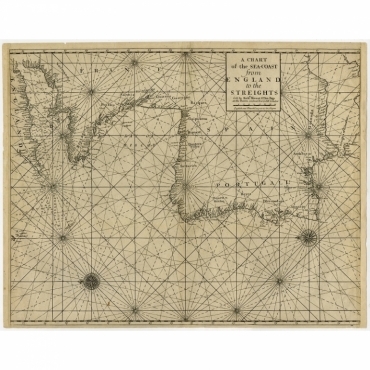 Antique maps of a maritime area or coastal regions. 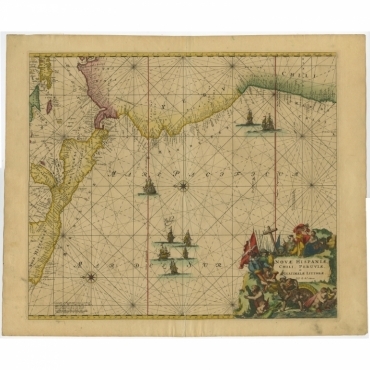 Bartele Gallery offers a wide range of authentic antique maritime maps and sea charts from the 16th to the 20th centuries. 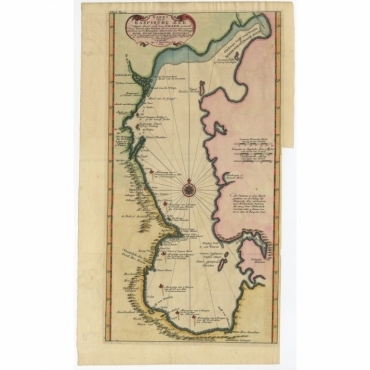 Our collection includes maritime maps and sea charts published by Bellin, Bowen, Ottens, Seale and many other artists and engravers. 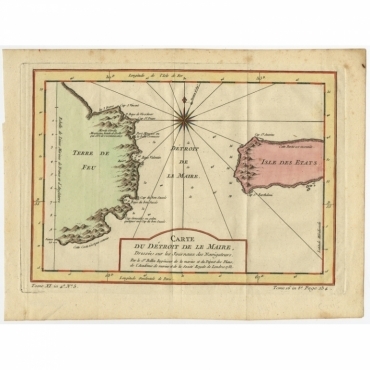 We offer a wide range of authentic antique maps for any budget. Explore our collection by selecting a specific category or use the search bar. While we hope you enjoy our online catalogue, we are always available to provide customer service. If you need help finding a particular product or if you have any other questions, please feel free to contact us. Antieke kaarten van een gebied op zee of kustgebieden. Bij Bartele Gallery vindt u originele antieke zeekaarten van de 16e tot de 20e eeuw. 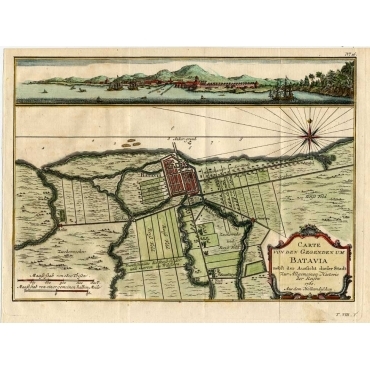 Ontdek onze collectie antieke zeekaarten van Bellin, Bowen, Ottens, Seale en vele andere artiesten. Bartele Gallery heeft een grote collectie antieke kaarten voor ieder budget. Ontdek onze collectie antieke kaarten door een categorie te selecteren of gebruik te maken van de zoekbalk. Terwijl u op zoek bent naar de een antieke kaart, zijn wij altijd beschikbaar om uw vragen te beantwoorden of voor u te zoeken naar de perfecte antieke kaart. Aarzel dan ook niet om contact met ons op te nemen. 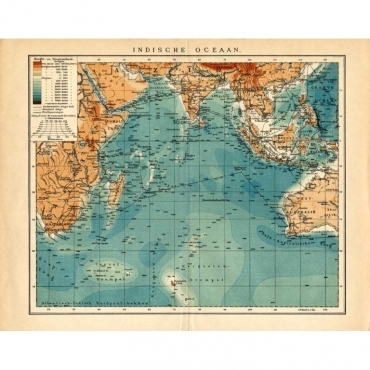 Antique Nautical Maps There are 40 products. 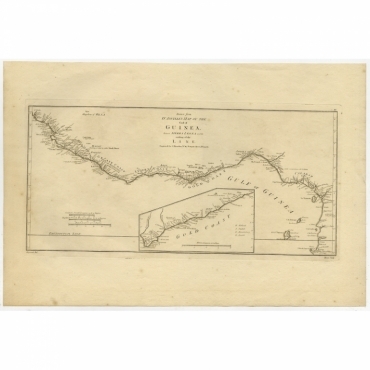 Map: 'Les Iles de Banda (...).' (The islands of Banda, Indonesia.) Extremely rare in this edition. 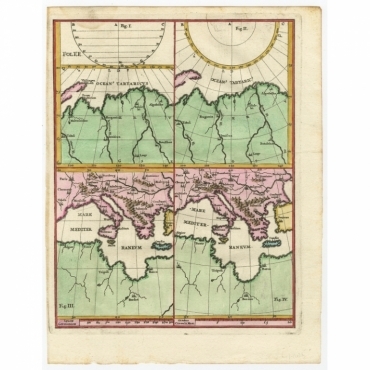 Antique Map, titled: 'A Chart of the Sea-Coast from England to the Streights.' - A map showing the European coastline from the South of England (and North of France) to the Strait of Gibraltar and the northern coast of Africa. Soundings are indicated in the Channel, Strait and along the Spanish and Portuguese coasts. Rocks, islands, etc. are also indicated. 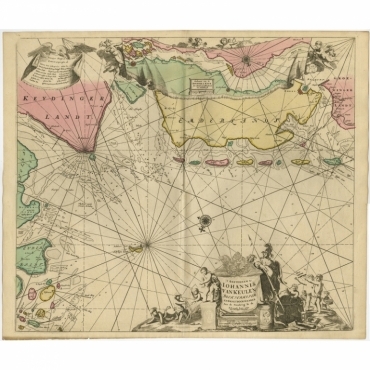 Antique Map, titled: 'The Form of cruising off Acapulca on the Coast of Mexico in the South Seas in the Year 1742. by His Majesty's Ships, Centurion, Gloucester, Tryall Prize, Carmila Prize, Carmin Prize.' - A navigational chart of the coast of Mexico, with the harbours Acapulco and Port Marquis (Puerto del Marques) indicated. 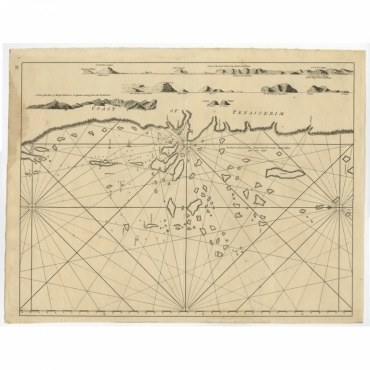 Antique map, untitled. A map of the Pacific ocean, with the coast of Peru in the right edge and the outline of New Guinea in the left edge. In between are various newly discovered islands, such as Cocos Island and Verraders Eylant (Traitor's Island). Antique print, titled: 'Coast of Tenasserim.' 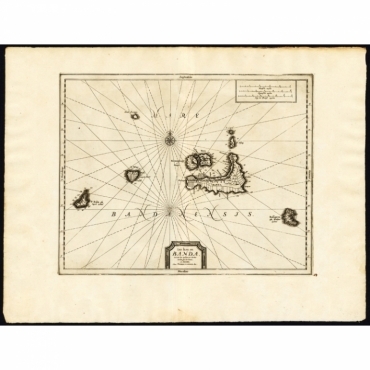 - Sea chart of the Tenasserim area, Myanmar in South East Asia. 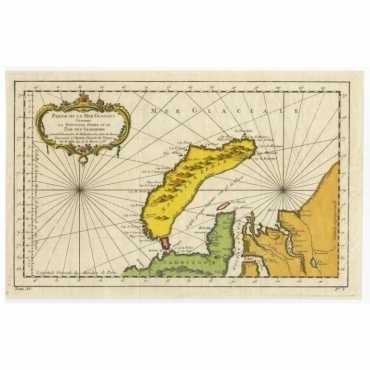 Antique map, titled: 'Hydrographia Canalis Marini Inter Angliam et Galiiam de Fluentis.' 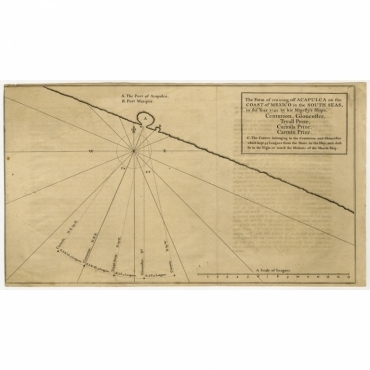 - Sheet with with two charts of the English Channel, each adorned with beautiful compass roses. 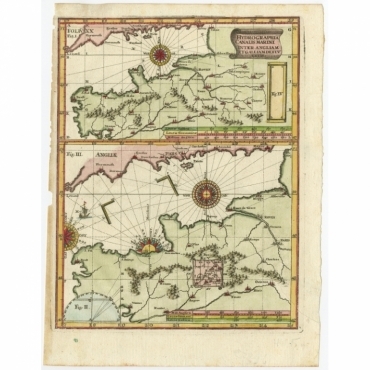 The lower chart is inset with a tiny map of the region between Angers and Paris. 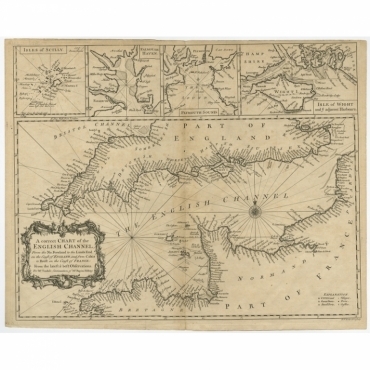 Antique print, titled: 'A Correct Chart of the English Channel from the No. 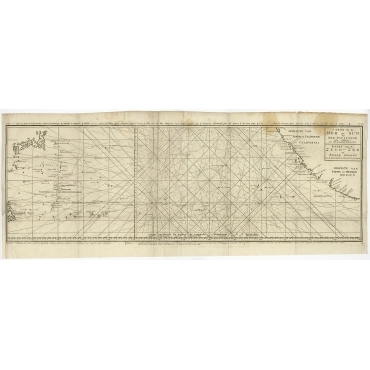 Foreland to the Lands End' - A handsome and detailed chart of the English Channel with a large decorative cartouche, compass rose and rhumb lines. The inset maps across the top detail the Islands of Scilly, Falmouth Haven, Plymouth Sound and the Isle of Wight and adjacent Harbours. 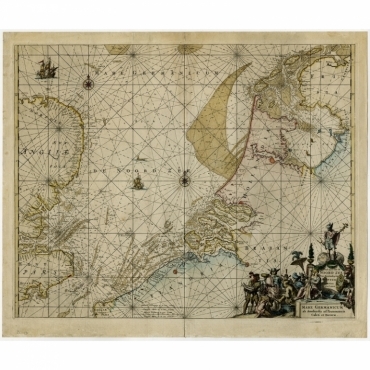 Antique map, titled: 'Kaert van de Kaspische Zee volgens bevel van den Czaer (…).' 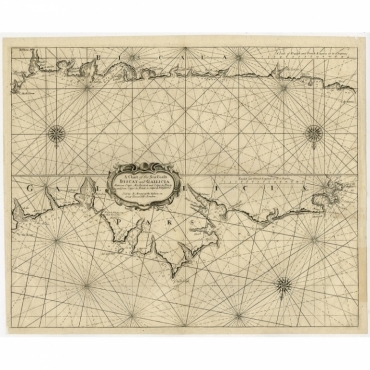 - Uncommon map of Caspian Sea.